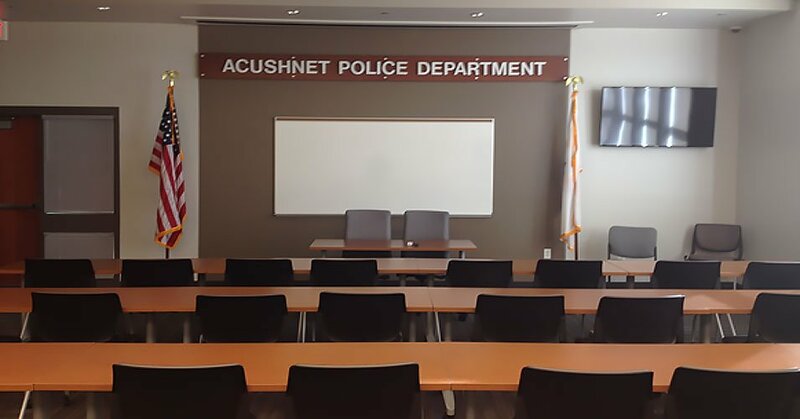 CDR Maguire provided Owner’s Project Manager (OPM) services for the new construction of an 11,000-square-foot police station in Acushnet, MA. This police station replaced the former police station that shared space with the school department and board of health. The project budget was $5.7 million and contained new utilities, 9-1-1 communications dispatch center, a 40-person training/community room; men’s and women’s locker rooms, 4 jail cells, chief’s office area, detectives and patrol offices, conference rooms, roll call area, monitored interview rooms, sally port garage, vehicle processing garage and parking for 40 vehicles.